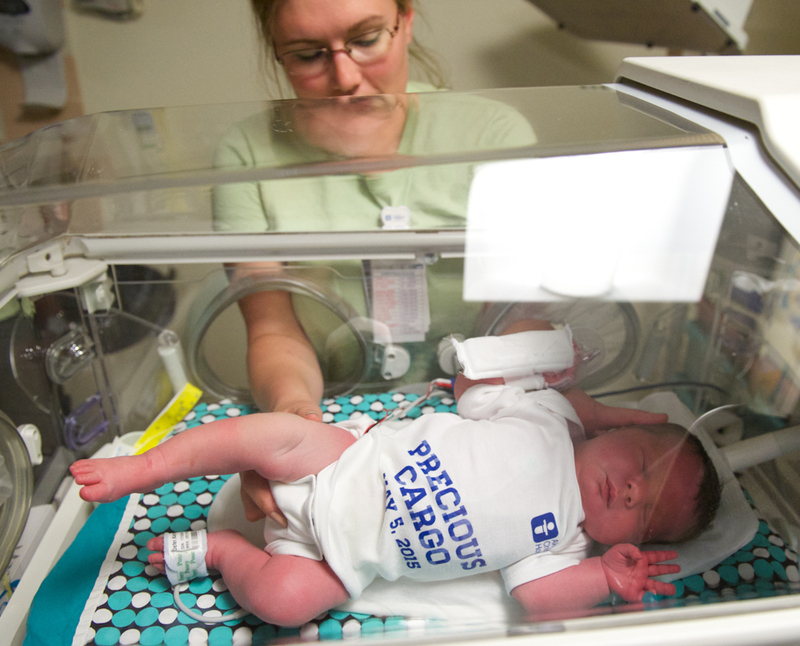 Each of the tiny babies wore matching onesies imprinted with “precious cargo” for their move into the new NICU. Ranging in age from 1 day to 13 months, the infants were moved to the new 2-story Women’s Board of Children’s Hospital Neonatal Intensive Care Unit in Kay Jewelers Pavilion. Gabriella Perryman, 5 days old, was among the transfers to our new NICU. Each baby’s journey began with a “Transfer Ticket” that designated her name, current space, new room number, team members, and a team leader’s signature “clearing” the baby for transport. About 100 staff members were on hand to ensure a smooth move and to watch over the precious cargo. It took about 15 minutes to move each baby 600 feet into their new temporary homes. 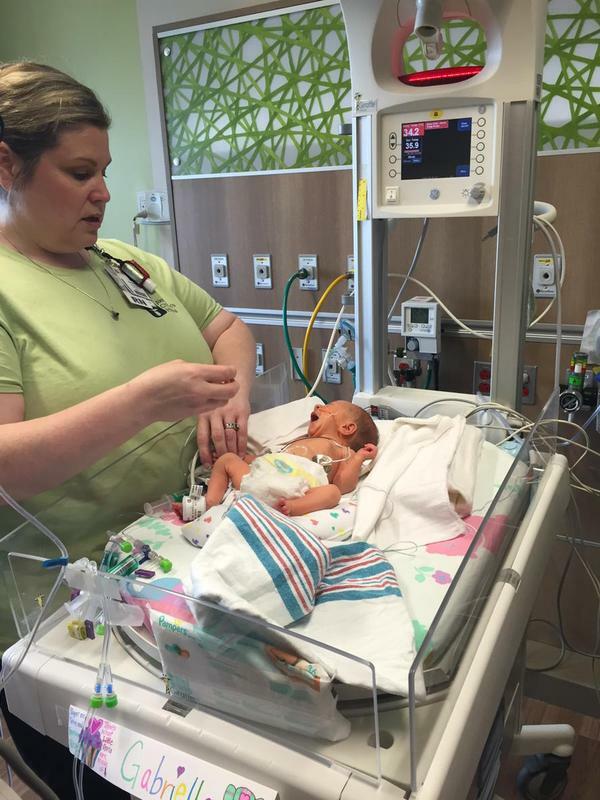 Akron Children’s new NICU is a big change from the infants’ previous home. Instead of one room accommodating several babies, all of the neonates have their own private room, which has been shown to improve healing and get the babies home sooner. Each of the 75 rooms includes a private bathroom, TV, sofa bed and comfy gliding chair – the perfect place for new moms to snuggle their babies on Mother’s Day. 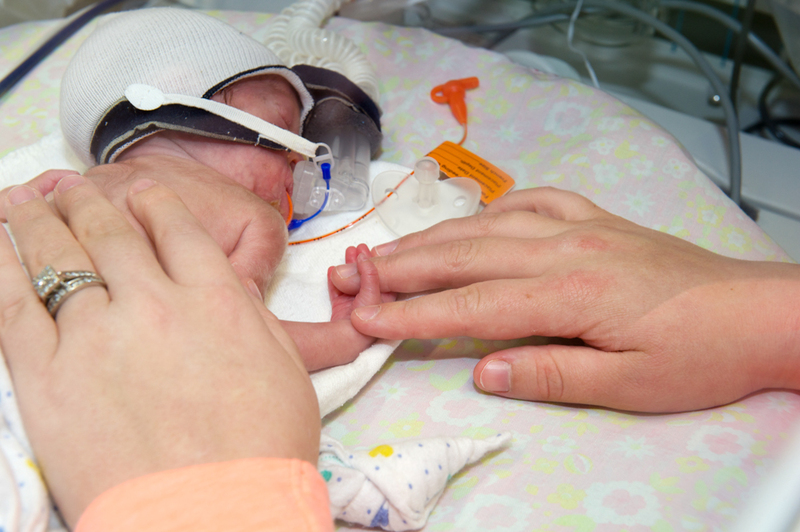 In the past year, Children’s has had more than 570 NICU admissions to its downtown Akron campus. The facility also has 2 delivery rooms to accommodate mothers with high-risk deliveries. The NICU babies who moved into the new unit weighed between 2 lbs., 11 oz., to 18 lbs., 1 oz., with an average weight of 6 lbs., 13 oz.